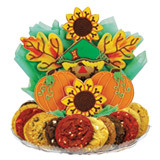 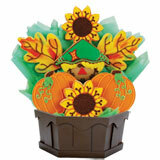 Our Harvest Happiness cookie tray is a delicious way to liven up your fall party. 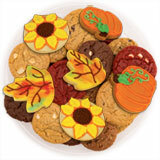 Included: 6 decorated cookie favors made with sugar cookie dough and 1 dozen assorted gourmet cookies. 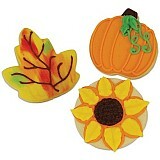 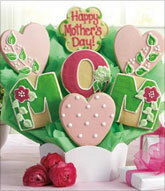 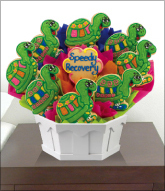 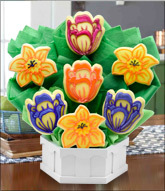 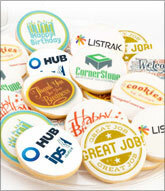 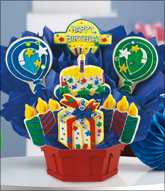 Each decorated sugar cookie favor measures approximately 2 1/2"-3" tall, 3/8"-1/2" thick, and 1.5 oz.